As crew you will deal with management companies, charter brokers, ship yards, suppliers, contractors on a daily basis and have friends, colleagues and publications to turn to for advice and reviews of these services. This makes your job much easier when it comes to choosing the best company to clean the main salon carpet, run an STCW refresher course, or do a top end rebuild on your generators. But, when it comes to your personal life, and in particular your tax, banking, investments, mortgages, and even life insurance what do you do? Well, based on the estimated number of crew in the industry vs the number of you who appear to take this seriously the answer for most of you appears to be nothing. The question is, why? We have a number of theories for this and when you have a look at the answers to some of the questions we have recently asked you can start to understand why people prefer to do nothing. Why don’t you do tax returns? Why do you bank offshore? What do you do about currency exchange? Who do you do about investments? When it comes to TAX, most of you don’t know or don’t understand what you are supposed to be doing. An increasing number of you are taking this seriously but there are a lot of you who still need to do something. With BANKING the majority of you have misunderstood the benefits of offshore banks, but worse still think they give you anonymity. They don’t. Also, most crew we talk to have no idea there is an alternative. RESIDENCY is the one factor which generally determines where you are supposed to pay tax, or at the very least declare your income. Most crew don’t realise this or what the implications of residency mean to them. CURRENCY EXCHANGE is something that, over the course of your career can cost you a fortune. But, because you only lose a small amount at a time you notice it less than someone taking €500 out of your wallet at the end of each month. A lot of you make INVESTMENTS or like to think you do. The big problem is that if your investment is ill informed, not informed at all, or inappropriate for you then it isn’t an investment, it’s just a waste of money. 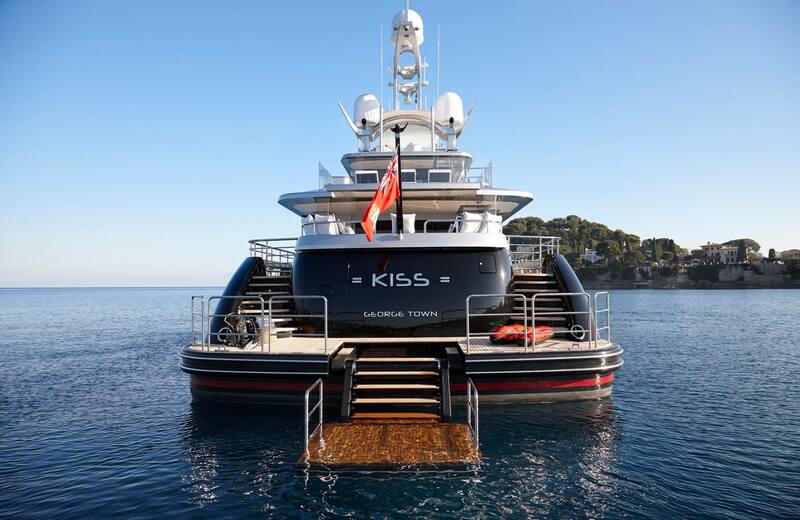 So, going back to the point at the beginning of this article, there are more and more companies in the yachting industry who can take care of all this for you. Some of them are good, some not so good, and others who do it because they have access to crew rather than because they know what they are doing. 2. Once you know your tax position you will know if you need to declare your income. No matter what this means to you financially make sure you DO IT. It will cost you a lot more if you don’t. 3. Don’t waste your money on bad currency exchange. Think about what you are doing, is it the most efficient option? 4. Make sure your choice of bank suits you. There are a lot of people out there who will advise you to bank offshore because it suits them, not you. Lots of companies make commissions from setting up offshore accounts for you. Talk to someone who listens to your needs and gives you some options. 5. When it comes to investments take advice. Talk to an independent advisor not the bank as banks will be biased. Also, look for someone who is regulated as this means you are protected if things go wrong. Be wary of financial advisors who are too “salesy” or talk about how much money you can make. This isn’t the Wolf of Wall Street, it’s your future. Take it seriously and pay for good advice, it pays off in the long run. 6. Finally, this might sound weird but don’t listen to your friends. When it comes to things like finances, everyone’s situation is slightly different and so it is important to know exactly where YOU stand rather than base your actions on what one of your friends does or did. Ultimately, there is a lot of choice out there. We obviously independently offer all of the services mentioned above (but then you knew that) but you don’t have to use us. As long as you do something and use someone good and reliable all will be fine but please do something.